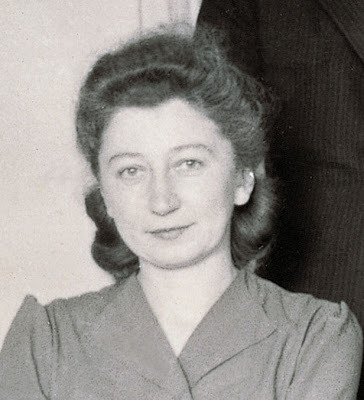 Miep Gies and her husband Jan were the Dutch couple who hid Otto Frank and his family in an Amsterdam office building's secluded annex from 1942 to 1944. For more than two years, Miep and Jan Gies smuggled food and other provisions to the Franks and other Jews, protecting them as they could from the Nazi regime that was controlling the Netherlands. In August of 1944 (not long after the invasion of Normandy) the Gestapo discovered the hiding place and captured everyone. Not long afterward Miep Gies was allowed to return and while there she gathered up numerous personal belongings in hopes of returning them. Scattered on the floor were pages of Anne Frank's diary. In 1947 it was published and became a worldwide sensation for all time. For her heroism, Miep Gies was decorated by Queen Beatrix of the Netherlands and declared a "Righteous Gentile" by the Israeli government. Miep Gies, last surviving protector of Anne Frank and her family, passed away yesterday at the age of 100. If only more people had the courage of this woman, this would be a far better world.